Applications are invited from committed, motivated and qualified Tanzanians to apply for postgraduate studies in the one of China’s best Oil and Gas Universities - the China University of Geo-sciences (Wuhan). Sponsorship will be in the fields of oil and gas. 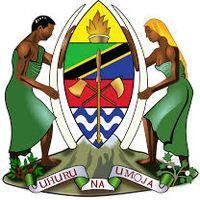 The scholarships will be processed in collaboration with the Embassy of China in Tanzania and will be awarded to the best twenty (20) candidates. e) Applicant once awarded scholarship, will not be allowed to decline for any reasons. 3.1 Interested applicants should write a letter of application to The Permanent Secretary of the Ministry of Energy in which they should state their academic and practical background in the fields of oil and gas; level of studies they wish to pursue (Bachelor, Masters or PhD); why they should be offered the scholarship; and how they will use their knowledge for the benefit of the nation. 3.3 Apply online for the scholarship through http://www.csc.edu.cn/studyinchina orhttp://www.campuschina.org not later than 25th March, 2018. The Agency Number for Online application is 8341.
n) One recent passport size photograph. 3.6 All the above mentioned full package of application documents should be arranged in two complete sets and use paper DIN A4. 3.7 Testimonials/ provisional results/ statements of results will not be accepted. 3.9 Any application without relevant documents shall not be considered. 3.10 Applicants who were awarded China Scholarship in 2016 and declined the opportunity should not apply these scholarships because they will not be considered. 3.9. Closing Date: 25th March, 2018. 3.10. Notification: Shortlisted applicants will be notified by 10th April, 2018.